Patient-generated health data is proving to be critical in the shift to value-based care. Technology has been a growing part of healthcare for decades. 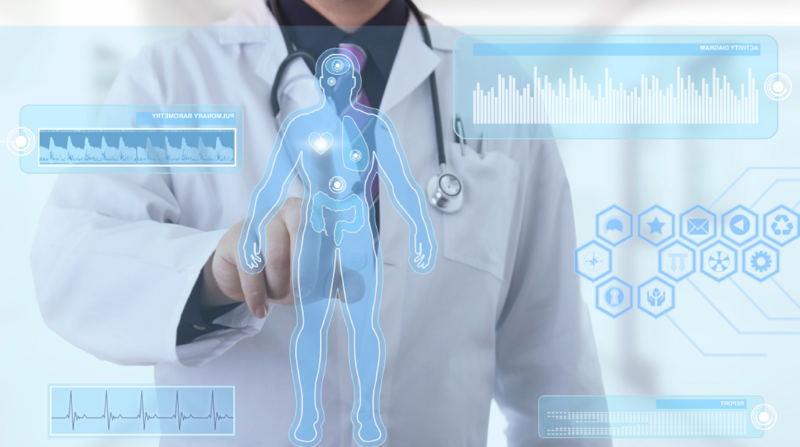 We’re familiar with great advances in imaging devices, advanced surgical technology, sophisticated heart rate monitors, and more recently, electronic patient management systems and clinical workflow systems, which are being utilized daily in health systems, hospitals and clinics. But, now, technologies being used by patients outside of the clinical setting are solidifying their role in the future of medicine and care. The evidence in the market is pointing to digital health technology as a critical enabler of healthcare’s Triple Aim strategy and necessary for the shift to value-based care. Not only because these tools are helping patients better self-manage their acute and chronic conditions or general well-being, but also, because these devices are providing the necessary data and patient insights needed to improve clinical health outcomes, better patient experiences, and reduce per capita costs. Patient-generated health data (PGHD) is becoming extremely significant in the operational efficiency of health systems. Data from wearables, clinical in-home devices and consumer applications are powering personalized approaches to remote monitoring, telemedicine, preventative wellness and analytics – all of which contribute to advancing the tenets of the Triple Aim and shift to value-based care. There are technical challenges associated with accessing and integrating PGHD, but these are no longer the hurdles preventing digital health adoption. Companies, like Validic, have solved the data access and integration challenges making PGHD standardized and immediately actionable for organizations. All that remains is the task of utilizing these remotely collected patient insights to better engage, incentivize, monitor, manage, diagnose and treat patients. We are learning as an industry how to ensure physicians and care teams are leveraging only the most impactful data at the right time. Forward-thinking providers, payers and pharmaceutical companies have evaluated the risk and concluded PGHD a necessity to manage the regulatory, financial and business challenges healthcare faces today. They are building the industry evidence: significantly reduced readmissions, dramatically increased engagement, more efficient diagnosis of ailments. And, they are proving the return on investment. More frequently, we are hearing stories of patients bringing in their activity trackers to physicians as a means to visually and analytically display health concerns. Recently, physicians used a patient’s Fitbit data to identify treatment risk while administering emergency care after the patient suffered a seizure and atrial fibrillation. In this case, the usage was sporadic, but in general, regularly captured PGHD from consumer-grade activity trackers are enabling physicians, to more easily treat diseases or ailments based on the patient’s diet, activity level, heart rate, sleep patterns and glucose levels. The Partners HealthCare Center for Connected Health, a not-for-profit integrated health system in Boston, utilizes activity trackers, as well as connected blood pressure monitors and scales, to treat and manage chronically ill patients and those recovering from surgery. One of their programs focuses on congestive heart failure (CHF) patients to detect daily changes in weight, heart rate, movement, sleep and blood pressure. Clinicians monitor this information to track progress and then use telehealth services to educate patients about the significance of changes in weight or other readings. When needed, the clinician will intervene to facilitate treatment in collaboration with the patient’s physician. Partners HealthCare found this type of remote monitoring and data collection not only reduced the cost of providing care, but also increased access for patients that faced difficulty in visiting their provider in person due to physical impairments or lack of transportation. The approach has reduced heart failure-related hospital readmissions among these patients by more than 50 percent. With this program, Partners was able to achieve all objectives of the Triple Aim – they provided a better patient experience with increased remote access to physicians. They improved the health outcomes for the majority patients by intervening before a negative health event could occur. And, they reduced costs associated with managing a chronically ill population by preventing penalties for readmissions within 30 days. Complacency has no place in healthcare. We are doing a disservice to patients and ourselves if we do not take advantage of the technology and data available today. Healthcare’s access and use of data has the power to disrupt the entire sector and move healthcare toward preventive diagnosis and predictive treatment. Patients have taken the first step to adopt the devices, companies like Validic have provided access to the data, and leaders, like Partners, are providing the evidence to support ROI of PGHD. Now is the time to build on this momentum to create ubiquitous adoption and integration of patient-generated health data that can accelerate the management and delivery of value-based care. Chris is the Chief Marketing Officer at Validic, the industry’s leading digital health platform. Chris leads the global marketing and strategy across Validic, which has a patient population reach of over 223 million across 47 countries. A frequent speaker for Validic, Chris has been running global marketing and strategy for healthcare technology B2B and B2C companies for over 20 years. Validic was named to Gartner's "Cool Vendors" list and received Frost & Sullivan's "Best Practices and Best Value in Healthcare Information Interoperability" and "Top 10 Healthcare Disruptor" awards. Chris has a passion to put the “health” back into “healthcare,” and can be followed on twitter @chrissedwards.